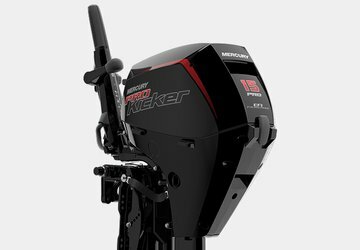 Horizontal tiller angle adjustment delivers comfort and easy operation by providing ambidextrous control. 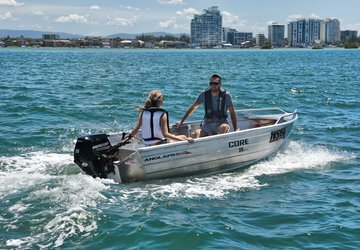 The tiller handle can be adjusted for right- or left-hand control. Steer with ease no matter where you sit. 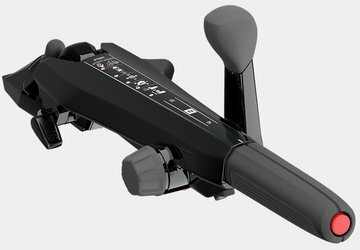 Likewise, reversible throttle grip rotation lets you adjust the direction of the grip rotation for optimal comfort; no matter which arm you’re steering with, you can choose the direction of the throttle grip. Driving is made easier with a vertical down stop angle adjustment, which lets you quickly and easily set a vertical operating angle without tools. 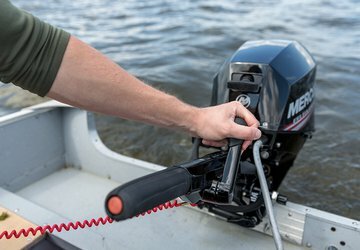 The tiller grip auto throttle return spring automatically brings your throttle to idle when you release the throttle grip. The stop button is located at the end of the grip for quick and easy access. 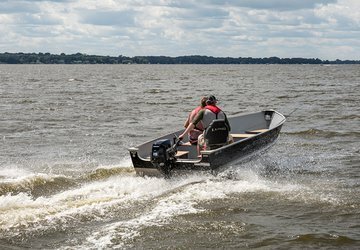 There’s also a tiller angle option that lets you lock the tiller at 73 degrees up – great for fishing and for trailering. You can adjust the throttle response while underway to suit driving preference. Tightening the throttle response allows you to hold your desired speed.